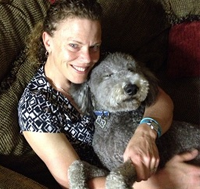 Dr. Robertson received her DVM from the Ontario Veterinary College at the University of Guelph in Canada in 1992. She worked in mixed-animal and small-animal practice before completing a small-animal internship at the same institution 2 years later. She completed her medicine residency at University of California, Davis, and became board-certified by the American College of Veterinary Internal Medicine in 1998. She practiced in a busy referral hospital before joining IDEXX as a medicine consultant. Dr Robertson was Head of IDEXX consulting services for many years before moving to her current role as Director of Medical Affairs. Dr. Robertson’s current area of focus is to help veterinarians better diagnose and manage kidney disease. In the past 2 years, she has spoken at several national and international conferences and provided numerous webinars on this subject reaching more than 7000 veterinarians.